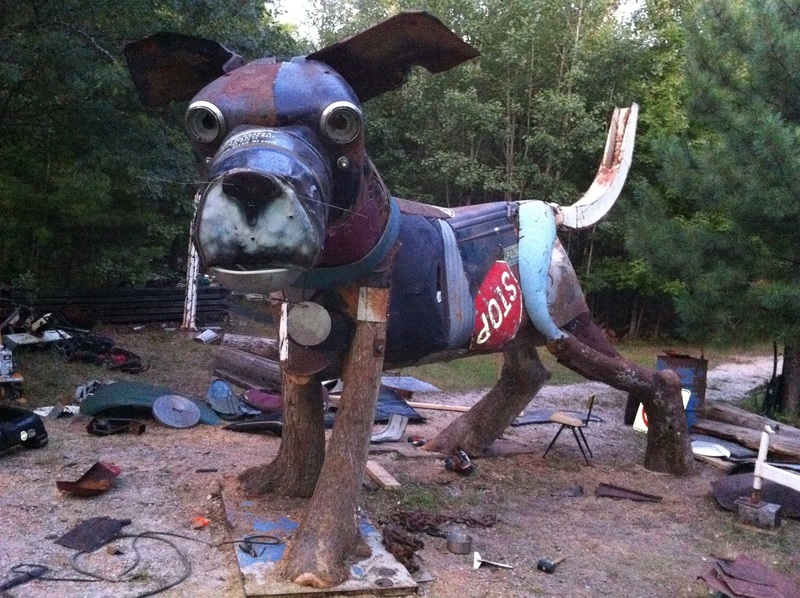 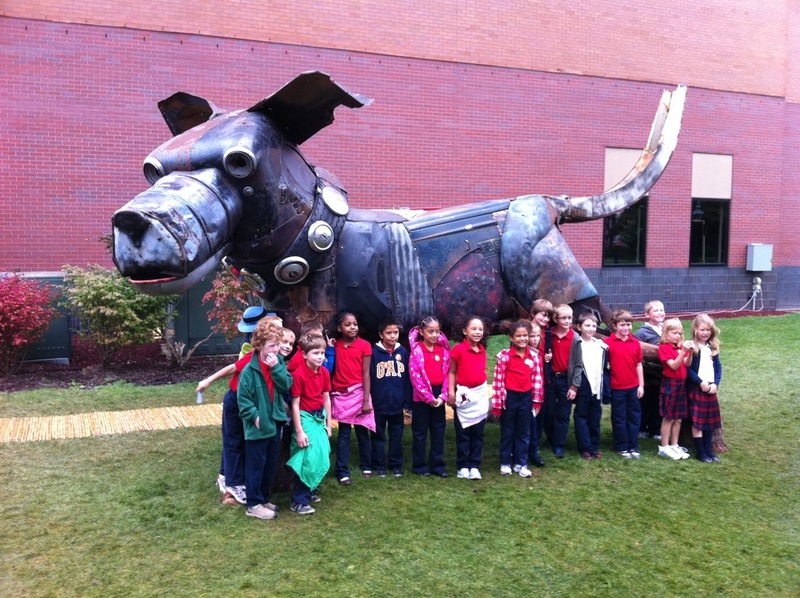 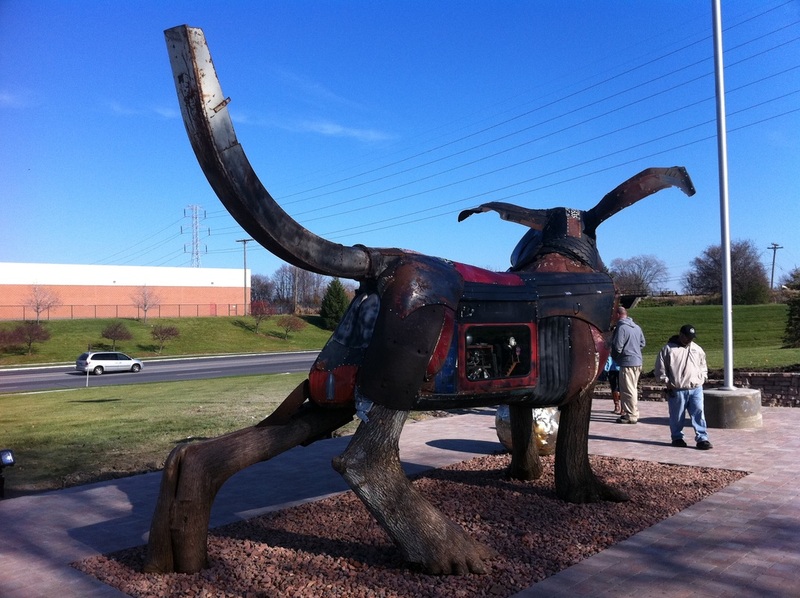 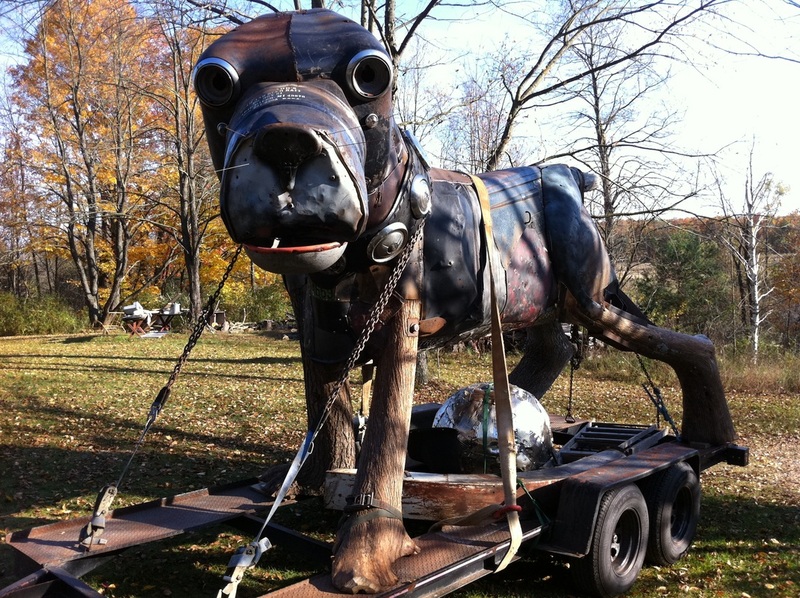 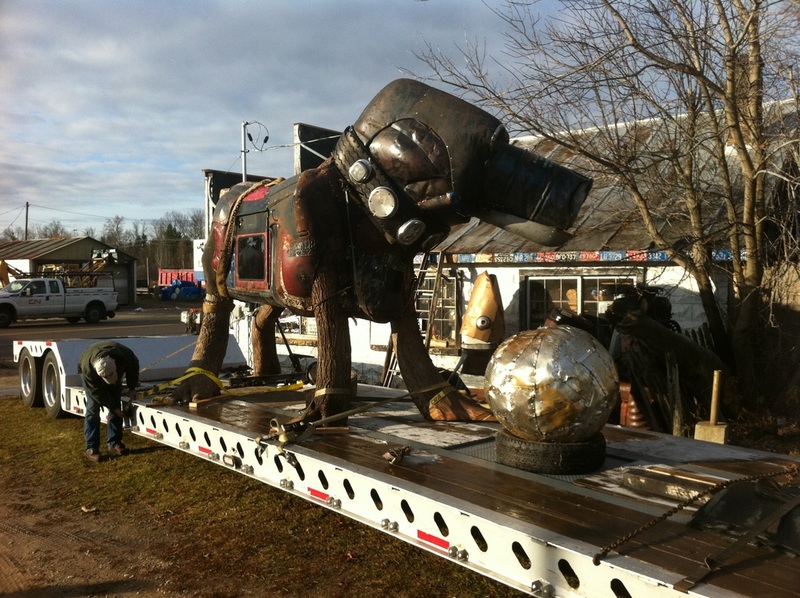 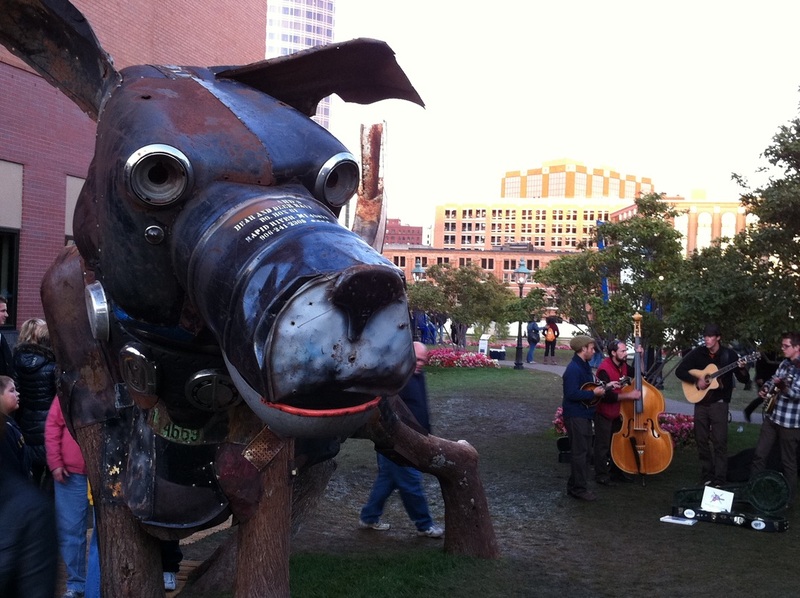 Rusty the Dog was created in the summer of 2011 for the ARTprize competition in Grand Rapids, Michigan. 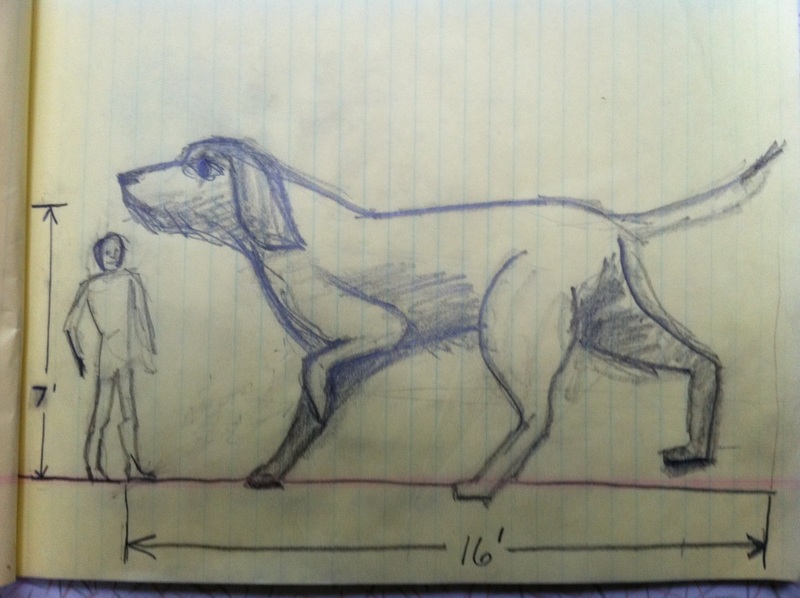 Utilizing bent 'dogleg' trees for hind legs and cast-off automotive and farm parts, this dog weighs 3,100 lbs and stands 12' high with a length of 19' tip to tail. 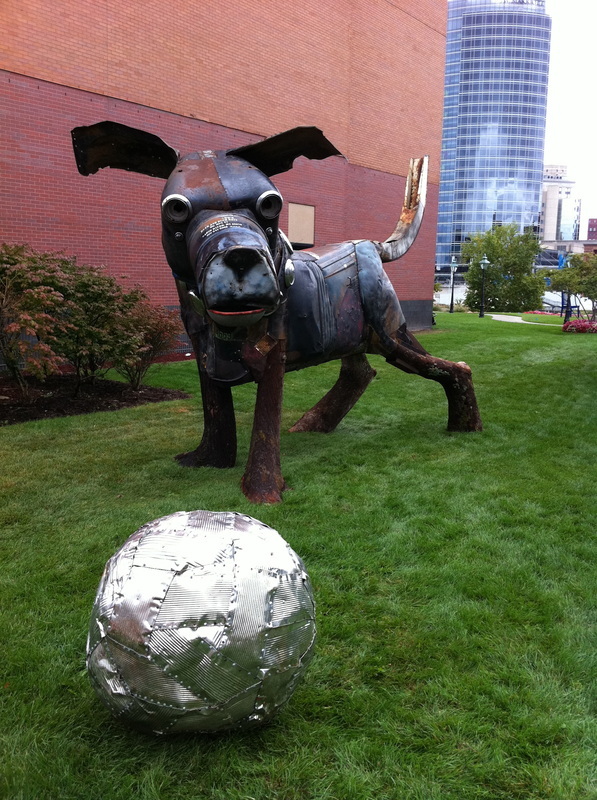 The ball was constructed out of numerous cans saved from the Rapid River school's hot lunch program and fastened together with a hundreds of screws. 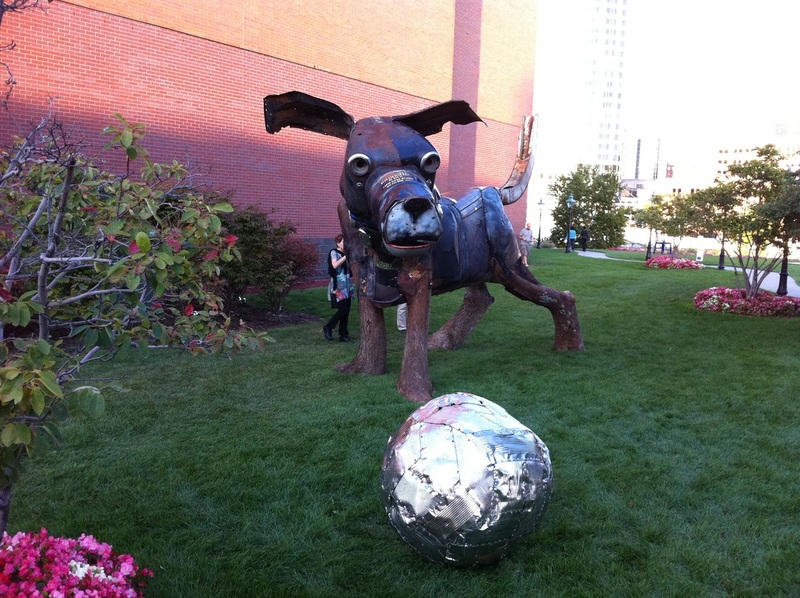 On the back lawn of the Grand Rapids Public Museum. 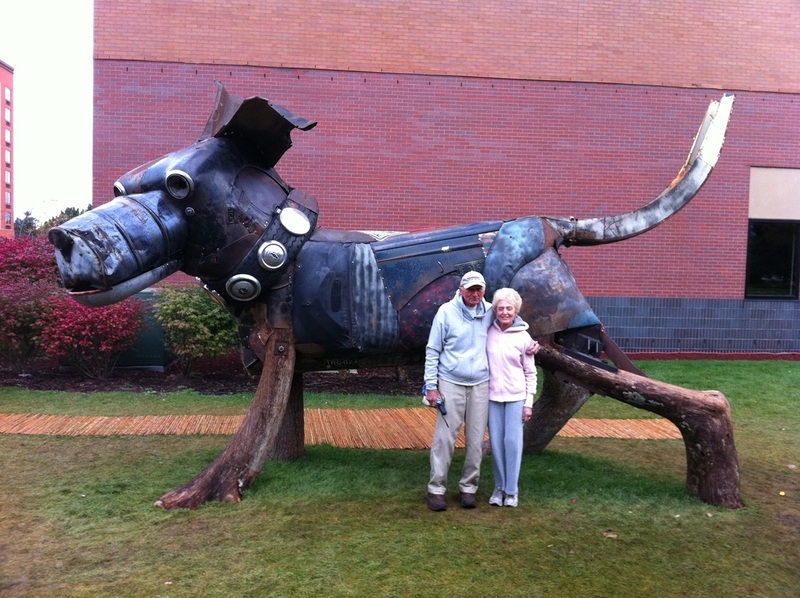 The first weekend of ARTprize..
Mr. & Mrs. G. These fine folks gave Rusty a hind leg to stand on. 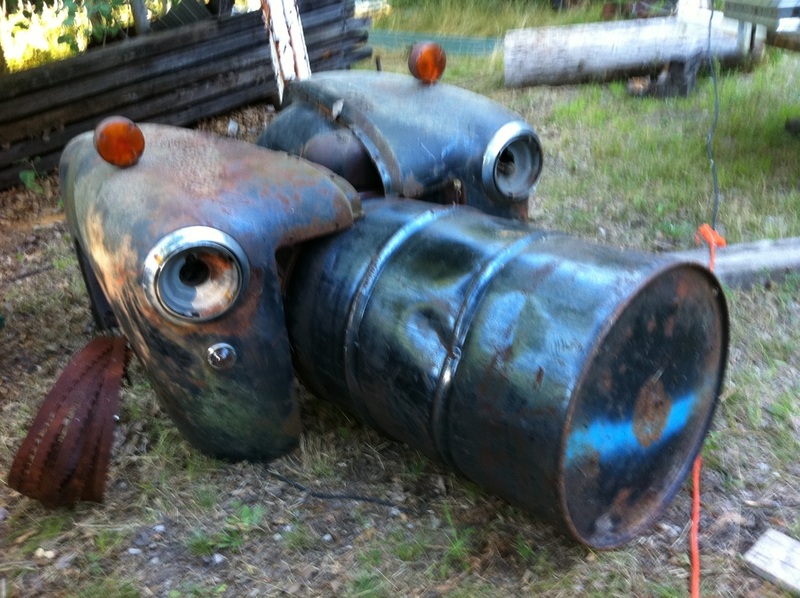 The FauxGRASS Quartet laying it down. 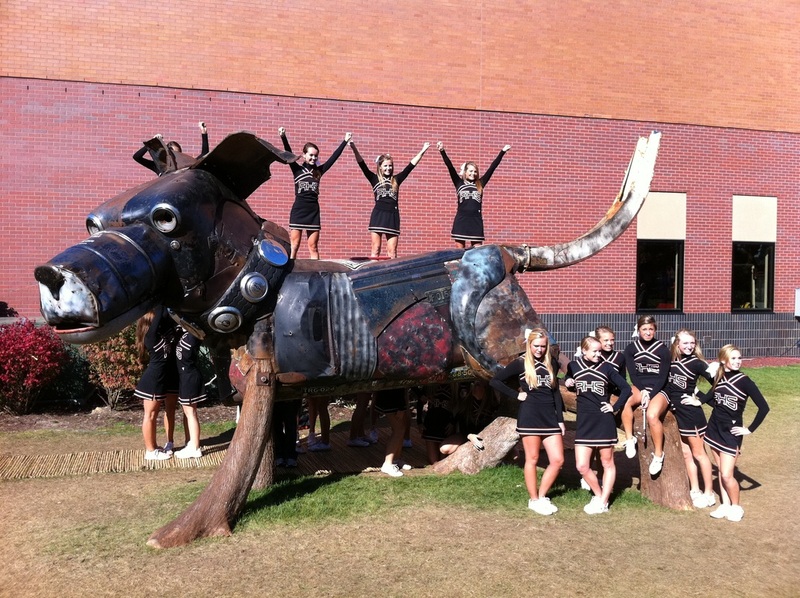 Top 10! 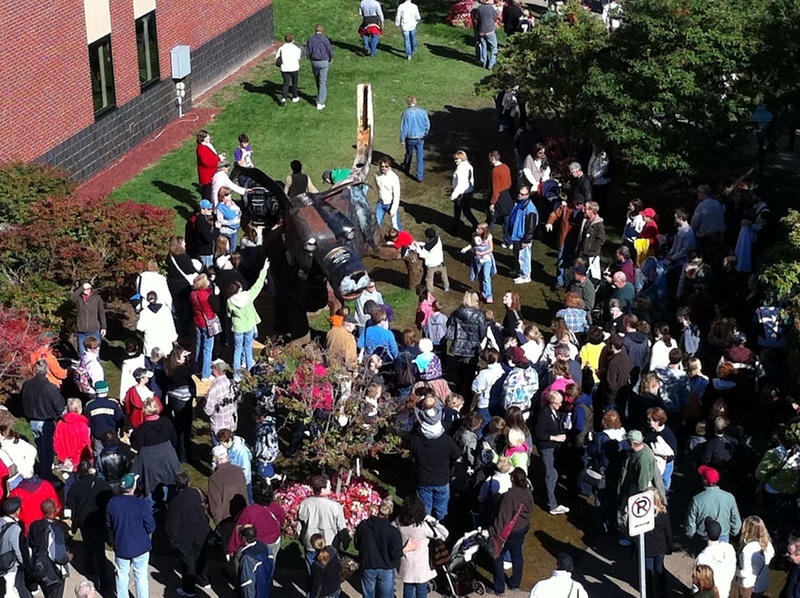 Ended up placing 5th out of 1,582 entries. 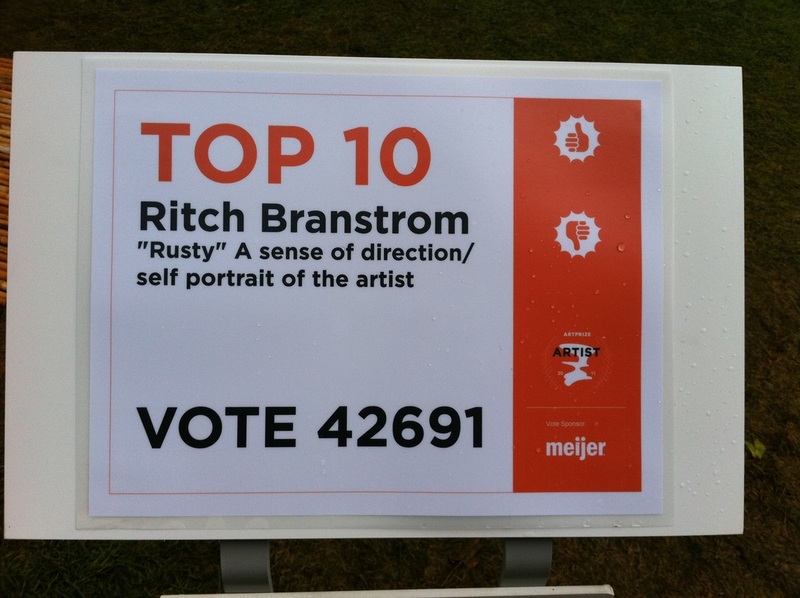 Rusty ended up placing 5th out of 1,582 entries! 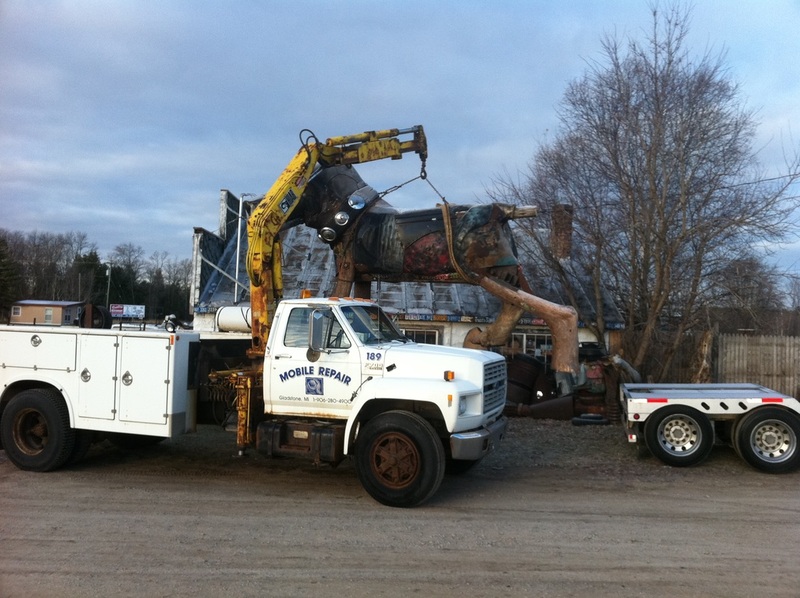 An impromtu HIP HIP HOORAY fro Rusty! 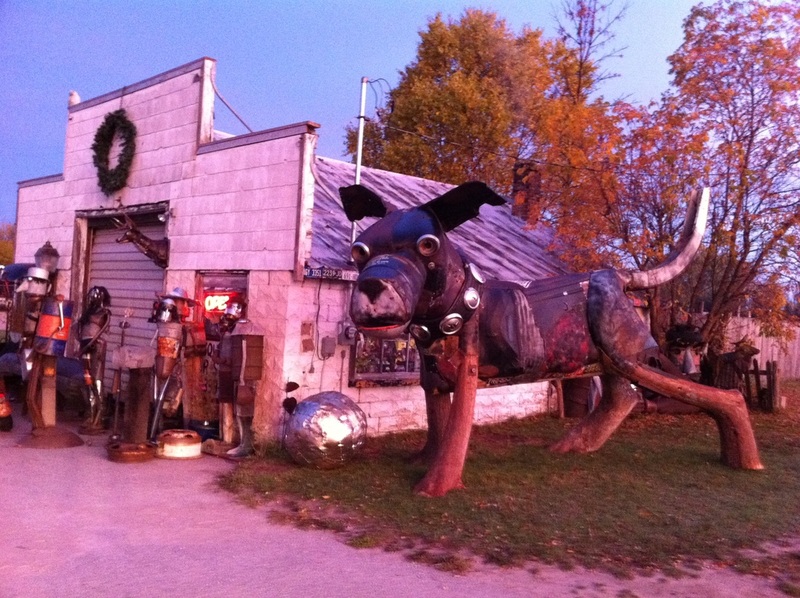 Making the trip back to Rapid River. 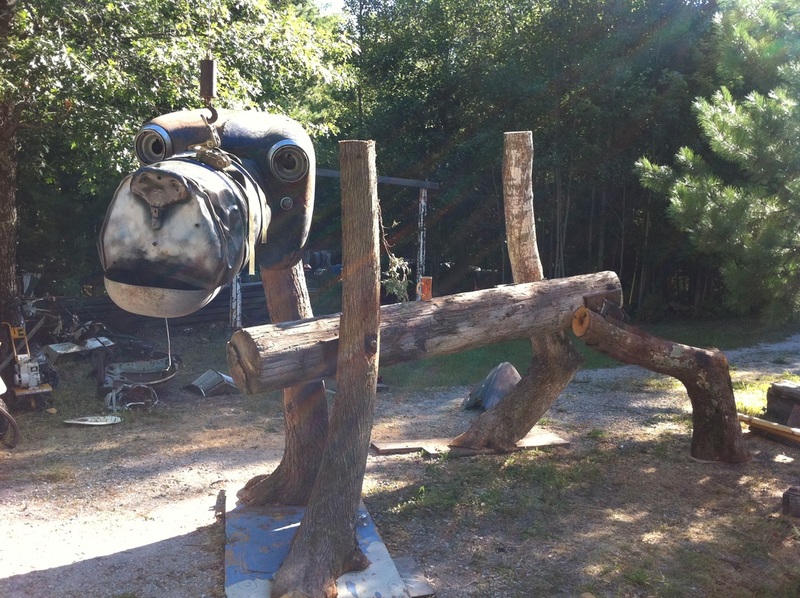 Hanging out at the adhocWORKshop. 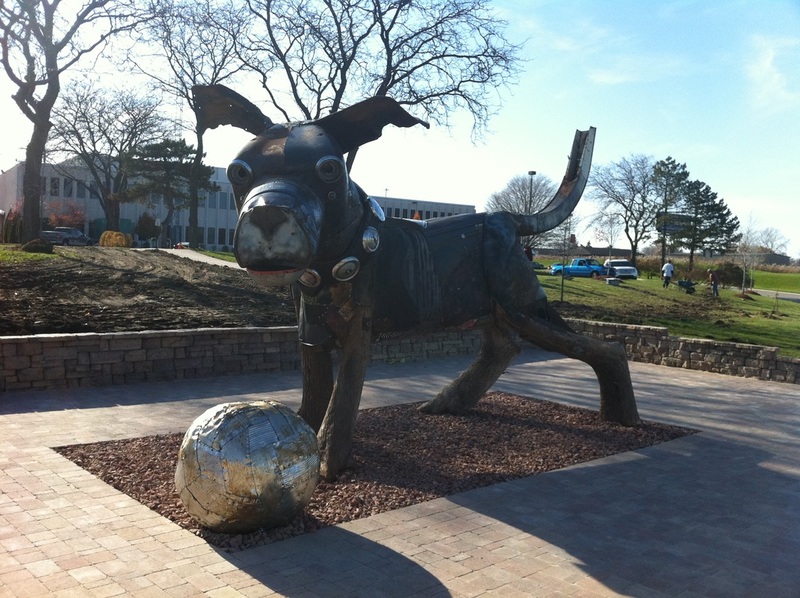 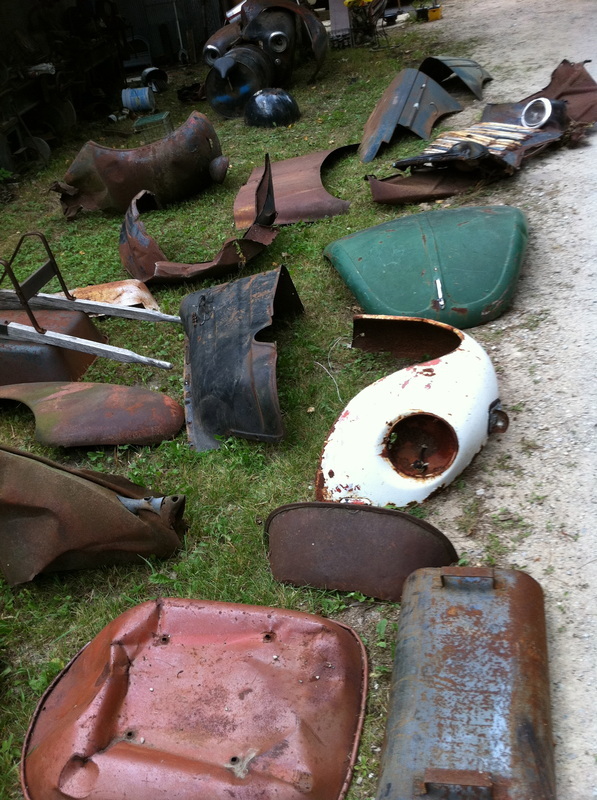 Rusty has made a home at Baker College in Allen Park, Michigan.